FUTA Admission Screening Form 2019/2020 – Federal University of Technology, Akure, FUTA post UTME/Direct Entry admission screening exercise application form for the 2019/2020 academic session admission exercise is on sale. 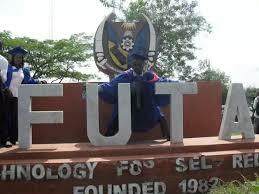 FUTA cut-off mark is 180. 3 FUTA Post UTME Screening Exercise Date. Candidates who made the Federal University of Technology, Akure their first choice of institution in the 2019 Unified Tertiary Matriculation Examination (UTME), and had a total score of 180 and above are eligible to take part in FUTA Post UTME Screening Exercise. Direct Entry Candidates are also invited to the Pre-Admission screening exercise. Note: All courses are of five years duration except for Architecture, which is for six years. IMPORTANT! Currently, FUTA Admission Screening Form 2019/2020 is not yet out online, DISREGARD any form of advert you come across. This page will be updated immediately the form is out. Eligible candidates are to visit FUTA website (www.futa.edu.ng) to register for the screening exercise, after a payment of N2,500.00 (Two thousand five hundred Naira only) through e-tranzact. FUTA Post UTME Screening Exercise Date.